The 2/30th Foot was at Antwerp when Napoleon escaped Elba. It soon joined the allied force being assembled in the Netherlands to resist the new threat. The battalion was assigned to the Major-General Sir Colin Halkett’s 5th Brigade of the 3rd British Infantry Division, a composite formation comprising British, Hanoverian, and King’s German Legion units, under the command of Lieutenant-General Charles, Count Alten, a Hanoverian officer. The battle opened just before noon on 18 June 1815, with an artillery bombardment, that at around 1 p.m. was followed by the advance of the Comte D’Erlon’s I Corps, who attempted to smash through the British right. The British responded with cavalry, and the Household and Union Brigades charged into the French lines, where they were met by a perfectly timed French counterattack. Fighting also continued at La Haie Sainte and Hougoumont. Sometime around 3:00 p.m., Marshal Ney, interpreting Wellington’s adjustment of his line as a withdrawal, mounted the first of several large-scale cavalry charges against the Anglo-allied infantry between La Haie Sainte and Hougoumont. Over the next several hours, nearly 9,000 horsemen from twenty different regiments, supported by at least twelve artillery batteries, attacked the defenders repeatedly. 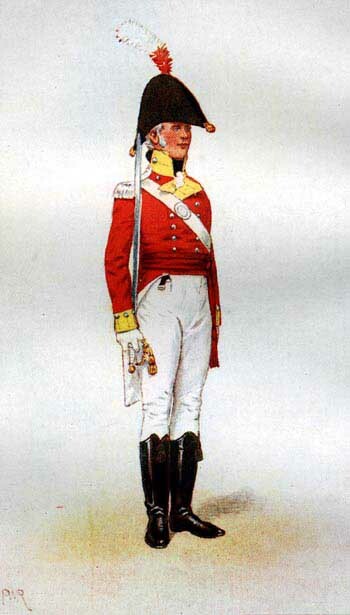 One survivor from the Macnab’s battalion, a seventeen year old ensign at the time, recalled thirty years later, that the “square a little advanced of the 30th and 73rd English regiments, was charged eleven times.” *20 Wellington initially deployed the twenty-six infantry battalions into twenty-two squares. The paired battalions of Halkett’s suffered considerable losses, and they then formed two large squares, the 2/30th with the 2/73rd and the 33rd with the 2/69th. With the cavalry unable to break the British-Allied line, the Prussians closing in, and dusk approaching, Napoleon decided to make one final effort against Wellington. At 7:30 p.m., eight battalions, five in the first wave, of the Imperial Guard began the attack. Two battalions, the 4th Grenadiers and the 1/3rd Grenadiers, with Marshal Ney at their head, advanced against the combined 30/73 square. Halkett ordered his two battalion groups to form line. The two forces were only 40 metres apart. 1 I am indebted to Carole Divall, who generously assisted with the preparation of this article. 2 Several variations of the spelling of this name appear in the sources, including McNab, McNabb, M’Nabb, MacNab and Macnabb. The form “Macnab” will be used in this article as it appears to be the one used by the family. 3 None of the sources consulted have revealed a birth date for Alexander. 4 The four sons were Colin (1764-1810), Alexander, James (?-1820), and Simon., and the moved between the Niagara Peninsula, York, Thurlow (now Bellville) and Kingston in Upper Canada. During the War of 1812, James served as a Commissariat agent in Kingston in Upper Canada. James and Simon also established close links with transshipment merchants and financiers at Kingston. Colin, who resided in the Niagara Peninsula, eventually held an impressive number of offices, including Superintendent of Inland Navigation, Deputy Commissary of Stores, magistrate and a customs officer. “James McNabb,” Dictionary of Canadian Biography On Line, accessed 28 May 2013, http://www.biographi.ca/009004-119.01-e.php?id_nbr=2546 Richard Preston. Kingston Before the War of 1812: A Collection of Documents. Toronto: Champlain Society, 1959, 209n28. 5 Canon Alexander Macnab, “A Canadian U.E. Loyalist at Waterloo,” Annual Transactions of the United Empire Loyalists’ Association of Ontario, Toronto, 1903, 73. Edith G. Firth. The Town of York, 1793- 1815: A Collection of Documents of Early Toronto. Toronto: The Champlain Society, 1962, 69n34. 6 Captain Alexander McNab, Journal of Education, Province of Ontario, vol. XXIV, no. 1, October 1871, 156. 7 Frederick H. Armstrong. Handbook of Upper Canadian Chronology. Toronto: Dundurn Press, 1985, 38, 41. Richard Tickell, Mcnab’s predecessor to this appointment, died in June 1795, while holding this office. There is no listing of subsequent appointees to this post, until 1831. 8 This military career may have commenced earlier, as Alexander is shown on the regimental roll for 1797; see Firth. The Town of York, 1793-1815, 69. Canon Alexander Macnab, “A Canadian U.E. Loyalist at Waterloo,” Annual Transactions of the United Empire Loyalists’ Association of Ontario, Toronto, 1903, 77. 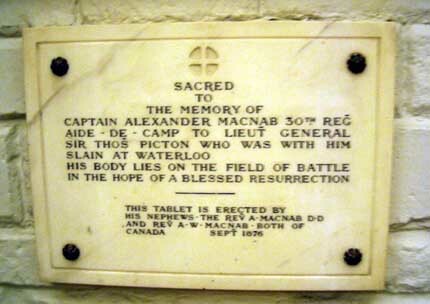 While several “Canadians,” or rather, resident from the provinces of British North America, served in the Peninsula and with the British forces elsewhere during the Napoleonic Wars, Macnab’s experience was unique, as he appears to have been the sole member of this group to have been present at Waterloo. 9 “Officer’s of the York Militia, 1798,” Firth. The Town of York, 1793-1815, 229. Army List 1806, 170. Lieutenant-Colonel Neil Bannatyne. History of the Thirtieth Regiment Now the First Battalion, East Lancashire Regiment, 1689-1881.Liverpool: Littlebury Bros., 1923, 463. 10 Bannatyne. History of the Thirtieth Regiment, 243. 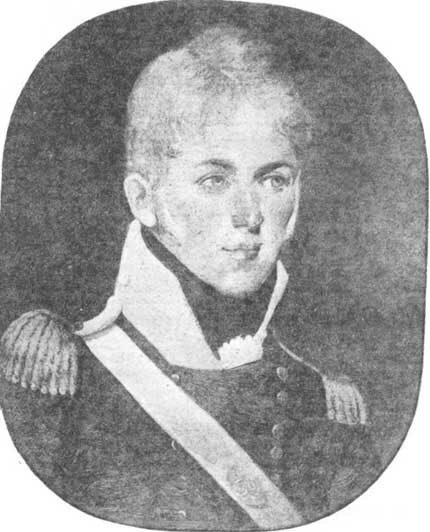 For the story of Lieutenant Edward de Salaberry, see John R. Grodzinski, “Universally Esteemed by His Brothers in Arms: Lieutenant Edward de Salaberry, R.E. at Badajoz, 6 April 1812.” Napoleon Series website at http://www.napoleon-series.org/ Simcoe’s story is recounted at Mary Babcock Fryer. Our Young Soldier: Lieutenant Francis Simcoe, 6 June 1791- 6 April 1812. Toronto: Dundurn Press, 1996. 11 Carole Divall. Inside the Regiment: The Officers and Men of the 30th Regiment During the Revolutionary and Napoleonic Wars. Barnsley: Pen and Sword, 2011, 125. 12 Army List, 1812, 188. Charles Dalton. The Waterloo Roll Call. London: Arms and Armour Press, 1971, 140. 13 Another list for the time of Badajoz, April 1812, shows Macnab with No. 1 Company, although he never held this appointment. Both these entries may simply be an administrative means for the battalion to account for him rather than showing his actually employment. It may be strange for some readers to learn that similar problems plague armies today. Despite digitization, lists are rarely up to date and not always accurate. For the Badajoz list, see Bannatyne. History of the Thirtieth Regiment, 273. 14 Bannatyne. History of the Thirtieth Regiment, 244, 246, 247, 250, 273, 292, 295, 307, 348. An entry appears on page 203 for “Captain McNabb Alexr., Killed 18th June.” Mcnab is listed with Captain Henry Cramer’s company. 15 Mark Adkin. The Waterloo Companion. Mechanisburg: Stackpole Books, 2001, 31, 33. 16 Carole Divall. Redcoats Against Napoleon: The 30th Regiment During the Revolutionary and Napoleonic Wars. (Barnsley: Pen and Sword, 2009), 148-151. Mike Robinson. The Battle of Quatre Bras, 1815. (Stroud: The History Press, 2009), 296. 297. 17 Divall, Redcoats Against Napoleon, 151. Robinson, Quatre Bras, 312. 18 Divall, Redcoats Against Napoleon, 155. 20 Major Macready in Reply to Captain Siborne, The United Services Magazine, Part II, June 1845: 257n. 21 Major Macready in Reply to Captain Siborne, The United Services Magazine, Part I, March 1845: 400n. 22 Major Macready in Reply to Captain Siborne, The United Services Magazine, Part I, March 1845: 400n. 23 Major Macready in Reply to Captain Siborne, The United Services Magazine, Part II, June 1845: 255 passim. Dival, Redcoats Against Napoleon, 177. 24 In December 1815, a compassionate allowance of £50 was granted to Mary McNicol, Macnab’s sister. “Estimates of Army Service for the Year 1818,” Estimates and Accounts: Army; Navy; Ordnance; Civil; Miscellaneous Services, vol. XIII, June 1818, 62. 25 Bannatyne. History of the Thirtieth Regiment, 347, 348. Charles Dalton. The Waterloo Roll Call. London: Arms and Armour Press, 1971, 15. H.B. Robinson. Memoirs of Lieutenant-General Sir Thomas Picton ,Volume II. London: Richard Bentley, 1836, 389. Canon Alexander Macnab, “A Canadian U.E. Loyalist at Waterloo,” Annual Transactions of the United Empire Loyalists’ Association of Ontario, Toronto, 1903, 78. Carole Divall. Inside the Regiment: The Officers and Men of the 30th Regiment During the Revolutionary and Napoleonic Wars. Barnsley: Pen and Sword, 2011, 99. 26 Unfortunately, the location of this medal could not be determined. Canon Alexander Macnab, “A Canadian U.E. Loyalist at Waterloo,” Annual Transactions of the United Empire Loyalists’ Association of Ontario, Toronto, 1903, 77. The author wishes to acknowledge the assistance of Jay Medves in attempting to learn details of Macnab’s Waterloo Medal. E.C. Joslin, A.R. Litherland, B.T. Simpkin. British Battles and Medals. London: Spink, 1988, 69, 86. The Waterloo Medal Roll: Compiled from the Muster Rolls. The Naval and Military Press, 1992. The entries for the 2/30th Foot appear on pages 201-226. Captain Alexander McNab, Journal of Education, Province of Ontario, vol. XXIV, no. 1, October 1871, 156. 27 Canon Alexander Macnab, “A Canadian U.E. Loyalist at Waterloo,” Annual Transactions of the United Empire Loyalists’ Association of Ontario, Toronto, 1903, 77. 28 Canon Alexander Macnab, “A Canadian U.E. Loyalist at Waterloo,” Annual Transactions of the United Empire Loyalists’ Association of Ontario, Toronto, 1903, 78.